The Rockwell (now part of Boeing) B-1 Lancer is a four-engine supersonic variable-sweep wing strategic bomber used by the United States Air Force (USAF). It was first envisioned in the 1960s as a supersonic bomber with Mach 2 speed, and sufficient range and payload to replace the Boeing B-52 Stratofortress. It was developed into the B-1B, primarily a low-level penetrator with long range and Mach 1.25 speed capability at high altitude. Designed by Rockwell International, the bomber's development was delayed multiple times over its history, as the theory of strategic balance changed from flexible response to massive retaliation and back again. Each change in stance changed the perceived need for manned bombers. The initial B-1A version was developed in the early 1970s, but its production was canceled, and only four prototypes were built. The need for a new platform once again surfaced in the early 1980s, and the aircraft resurfaced as the B-1B version with the focus on low-level penetration bombing. However, by this point development of stealth technology was promising an aircraft of dramatically improved capability. Production went ahead as the B version would be operational before the "Advanced Technology Bomber" (which became the B-2 Spirit), during a period when the B-52 would be increasingly vulnerable. The B-1B entered service in 1986 with the USAF Strategic Air Command as a nuclear bomber. In the 1990s, the B-1B was converted to conventional bombing use. It first served in combat during Operation Desert Fox in 1998 and again during the NATO action in Kosovo the following year. The B-1B has supported U.S. and NATO military forces in Afghanistan and Iraq. The Lancer is the supersonic component of the USAF's long-range bomber force, along with the subsonic B-52 and Northrop Grumman B-2 Spirit. The bomber is commonly called the "Bone" (originally from "B-One"). With the retirement of the General Dynamics/Grumman EF-111A Raven in 1998 and the Grumman F-14 Tomcat in 2006, the B-1B is the U.S. military's only active variable-sweep wing aircraft. The B-1B is expected to continue to serve into the 2030s; the Next-Generation Bomber is to start supplementing the B-1B in the 2020s. Hardpoints: six external hardpoints for 50,000 pounds (23,000 kg) of ordnance (use for weapons restricted by arms treaties) and three internal bomb bays for 75,000 pounds (34,000 kg) of ordnance. The B-1 has a blended wing body configuration, with variable-sweep wing, four turbofan engines, and triangular fin control surfaces. The wings can sweep from 15 degrees to 67.5 degrees (full forward to full sweep). Forward-swept wing settings are used for takeoff, landings and high-altitude maximum cruise. Aft-swept wing settings are used in high subsonic and supersonic flight. The wings of the B-1B originally were cleared for use at settings of 15, 25, 55 and 67.5 degrees. The 45-degree setting was later cleared in 1998–99 timeframe. The B-1's variable-sweep wings and thrust-to-weight ratio provide it with better takeoff performance, allowing it to use more runways than previous bombers. The length of the aircraft presented a flexing problem due to air turbulence at low altitude. To alleviate this, Rockwell included small triangular fin control surfaces or vanes near the nose on the B-1. The B-1's Structural Mode Control System rotates the vanes automatically to counteract turbulence and smooth out the ride. Unlike the B-1A, the B-1B cannot reach Mach 2+ speeds; its maximum speed is Mach 1.25 (about 950 mph or 1,530 km/h at altitude), but its low-level speed increased to Mach 0.92 (700 mph, 1,130 km/h). The speed of the current version of the aircraft is limited by the need to avoid damage to its structure and air intakes. To help lower its radar cross section (RCS), the B-1B uses serpentine air intake ducts and fixed intake ramps, which limit its speed compared to the B-1A. Vanes in the intake ducts serve to deflect and shield radar emissions from the highly reflective engine compressor blades. The B-1A's engine was modified slightly to produce the GE F101-102 for the B-1B, with an emphasis on durability, and increased efficiency. The core of this engine has since been re-used in several other engine designs, including the GE F110 which has seen use in the F-14 Tomcat, F-15K/SG variants and most recent versions of the General Dynamics F-16 Fighting Falcon. It is also the basis for the non-afterburning GE F118 used in the B-2 Spirit and the U-2S. The F101 engine was the basis for the core of the extremely popular CFM56 civil engine, which can be found on some versions of practically every small-to-medium sized airliner. The nose gear cover door has controls for the auxiliary power units (APUs), which allow for quick starts of the APUs upon order to scramble. The B-1's main computer is the IBM AP-101, which is also used on the Space Shuttle orbiter and the B-52 bomber. The computer is programmed with the JOVIAL programming language. The Lancer's offensive avionics include the Westinghouse (now Northrop Grumman) AN/APQ-164 forward-looking offensive passive electronically scanned array radar set with electronic beam steering (and a fixed antenna pointed downward for reduced radar observability), synthetic aperture radar, ground moving target indicator (GMTI), and terrain-following radar modes, Doppler navigation, radar altimeter, and an inertial navigation suite. The B-1B Block D upgrade added a Global Positioning System (GPS) receiver beginning in 1995. The B-1's defensive electronics include the Eaton AN/ALQ-161A radar warning and defensive jamming equipment, which has three sets of antennas; one at the front base of each wing and the third rear-facing in the tail radome. The ALQ-161 is linked to a total of eight AN/ALE-49 flare dispensers located on top behind the canopy, which are handled by the AN/ASQ-184 avionics management system. Each AN/ALE-49 dispenser has a capacity of 12 MJU-23A/B flares. The MJU-23A/B flare is one of the world's largest infrared countermeasure flares at a weight of over 3.3 pounds (1.5 kg). The B-1 has also been equipped to carry the ALE-50 Towed Decoy System. The B-1 has been upgraded since production, beginning with the "Conventional Mission Upgrade Program" (CMUP) This program added a new MIL-STD-1760 smart-weapons interface to enable the use of precision-guided conventional weapons. CMUP began with Block A, which was the standard B-1B with the capability to deliver non-precision gravity bombs. Block B brought an improved Synthetic Aperture Radar, and some upgrades to the Defensive Countermeasures System and was fielded in 1995. Block C provided an "enhanced capability" for delivery of up to 30 cluster bomb units (CBUs) per sortie with modifications made to 50 bomb racks. Block D added a "Near Precision Capability" for B-1 aircrews to accurately put bombs on target with improved weapons and targeting systems, and added advanced secure communications capabilities. The first part of the electronic countermeasures upgrade added Joint Direct Attack Munitions(JDAM), ALE-50 Towed Decoy System, and anti-jam radios. Block E upgraded the avionics computers and incorporated the Wind Corrected Munitions Dispenser (WCMD), the AGM-154 Joint Standoff Weapon (JSOW) and the AGM-158 JASSM (Joint Air to Surface Standoff Munition), substantially improving the bomber's capability. Upgrades were completed in September 2006. Block F was the Defensive Systems Upgrade Program (DSUP) to improve the aircraft's electronic countermeasures and jamming capabilities, but it was canceled in December 2002 due to cost overruns and schedule slips. The Sniper XR targeting pod is being integrated on the B-1 fleet. The pod is mounted on an external hardpoint at the aircraft's chin near the forward bomb bay. Following accelerated testing, the Sniper pod was fielded in summer 2008. Future precision munitions include the GBU-39 Small Diameter Bomb. In 2011, the Air Force was considering upgrading the B-1s with multiple ejector racks so that they can carry three times as many smaller JDAMs than they currently can. Subsequent upgrades will provide for better network-centric capability. A program was begun in 2005 to provide integrated data linking and upgraded crew station displays. A B-1 equipped with the Fully Integrated Data Link (FIDL) first flew on 29 July 2009. The FIDL allows for electronic data sharing so the crew will no longer have to enter information between systems by hand. In July 2011, Boeing announced the Integrated Battle Station (IBS) program to modify the B-1B fleet. 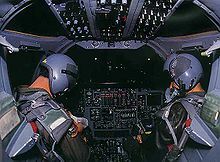 Upgrades include the integration of new display units in the cockpit, and a Central Integrated Test System; these are to improve situational awareness. Two monochrome displays are replaced by four multi-function color displays; the aging Aircraft Performance Monitoring Computer is replaced by an upgraded unit. In June 2012, the B-1Bs are receiving Sustainment-Block 16 upgrades to add color displays, Link 16 networking, and digital flight instrument displays. Developmental testing will start in April 2013. In late 1990 engine fires in two Lancers caused the grounding of the fleet. The cause was traced back to problems in the first-stage fan, the aircraft were placed on "limited alert"; in other words, they were grounded unless a nuclear war broke out. Following inspections and repairs they were returned to duty beginning on 6 February 1991. Due to the engine problems, the B-1B was effectively sidelined in the First Gulf War. Originally designed strictly for nuclear war, the B-1's development as an effective conventional bomber was delayed until the 1990s. The collapse of the Soviet Union had brought the B-1's nuclear role into question, leading to President George H. W. Bush ordering a $3 billion conventional refit. By 1991, the B-1 had a fledgling conventional capability, forty of them able to drop the 500 pounds (230 kg) Mk-82 General Purpose (GP) bomb, although mostly from low altitude. Despite being cleared for this role, the problems with the engines precluded their use in Operation Desert Storm. B-1s were primarily reserved for strategic nuclear strike missions at this time, providing the role of airborne nuclear deterrent against the Soviet Union. The B-52 was more suited to the role of conventional warfare and it was used by coalition forces instead. After the de-activation of Strategic Air Command (SAC) and the establishment of the Air Combat Command (ACC) in 1992, the B-1 developed a greater conventional weapons capability. Part of this development was the start-up of the U.S. Air Force Weapons School B-1 Division. In 1994, two additional B-1 bomb wings were also created in the Air National Guard, with former fighter wings in the Kansas Air National Guard and the Georgia Air National Guard converting to the aircraft. By the mid-1990s, the B-1 could employ GP weapons as well as various CBUs. By the end of the 1990s, with the advent of the "Block D" upgrade, the B-1 boasted a full array of guided and unguided munitions. The B-1B no longer carries nuclear weapons; its nuclear capability was disabled by 1995 with the removal of nuclear arming and fuzing hardware. The B-1 was first used in combat in support of operations against Iraq, during Operation Desert Fox in December 1998, employing unguided GP weapons. B-1s have been subsequently used in Operation Allied Force (Kosovo) and, most notably, in Operation Enduring Freedom in Afghanistan and the 2003 invasion of Iraq. The B-1's role in Operation Allied Force has been criticized as the aircraft was not used until after enemy defenses had been suppressed by aircraft like the older B-52 it was intended to replace. The B-1 has deployed an array of conventional weapons in war zones, most notably the GBU-31, 2,000 pounds (910 kg) Joint Direct Attack Munition (JDAM). JDAM munitions were heavily used by the B-1 over Iraq, notably on 7 April 2003 in an unsuccessful attempt to kill Saddam Hussein and his two sons. At the height of the Iraq War, a B-1 was permanently airborne to provide rapid precision bombardment upon important targets as intelligence identified them. During Operation Enduring Freedom, the B-1 was able to raise its mission capable rate to 79%. The B-1 has higher survivability and speed when compared to the older B-52, which it was intended to replace. It also holds 61 FAI world records for speed, payload, distance, and time-to-climb in different aircraft weight classes. In November 1983, three B-1Bs set a long distance record for the aircraft, which demonstrated its ability to conduct extended mission lengths to strike anywhere in the world and return to base without any stops. The National Aeronautic Association recognized the B-1B for completing one of the 10 most memorable record flights for 1994. Of the 100 B-1Bs built, 93 remained in 2000 after losses in accidents. In June 2001, the Pentagon sought to place a third of its then fleet of 93 into storage; this proposal resulted in several U.S. Air National Guard officers and members of Congress lobbying against the proposal, including the drafting of an amendment to prevent such cuts. The 2001 proposal was intended to allow money to be diverted to further upgrades to the remaining B-1Bs, such as computer modernization. In 2003, accompanied by the removal of B-1Bs from the two bomb wings in the Air National Guard, the USAF decided to retire 33 aircraft to concentrate its budget on maintaining availability of remaining B-1Bs. In 2004 a new appropriation bill called for some of the retired aircraft to return to service, and the USAF returned seven mothballed bombers to service to increase the fleet to 67 aircraft. On 14 July 2007, the Associated Press reported on the growing USAF presence in Iraq as a result of "surge" in forces. Also mentioned is the reintroduction of B-1Bs to be a close-at-hand "platform" to support Coalition ground forces. B-1s have been used in Iraq and Afghanistan. Since 2008 B-1s have been used there in an "armed overwatch" role. They loiter over the region maintaining surveillance, ready to deliver guided bombs in support of ground troops if contacted. The B-1B underwent a series of flight tests using a 50/50 mix of synthetic and petroleum fuel; on 19 March 2008, a B-1B from Dyess Air Force Base, Texas, became the first US Air Force aircraft to fly at supersonic speed using a synthetic fuel during a flight over Texas and New Mexico. This was conducted as part of an ongoing Air Force testing and certification program to reduce reliance on traditional oil sources. On 4 August 2008, a B-1B flew the first Sniper Advanced Targeting Pod equipped combat sortie where the crew successfully targeted enemy ground forces and dropped a GBU-38 guided bomb in Afghanistan. The USAF had 65 B-1Bs in service in September 2010, split between four squadrons organized into two Bomb Wings: the 7th Bomb Wing at Dyess AFB, Texas, and the 28th Bomb Wing at Ellsworth AFB, South Dakota. In March 2011, B-1Bs from Ellsworth Air Force Base attacked undisclosed targets in Libya as part of Operation Odyssey Dawn. With upgrades to keep the B-1 viable, the air force may keep the bomber in service until approximately 2038. Despite upgrades, the B-1 has repair and cost issues resulting from its age. For every flight hour it needs 48.4 hours of repair. The fuel, repairs and other needs for a 12-hour mission costs $720,000 as of 2010. 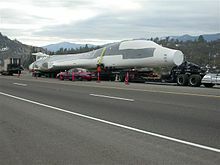 The $63,000 cost per flight hour is, however, less than the $72,000 for the B-52 and the $135,000 of the B-2. In June 2010, senior US Air Force officials met to consider retiring the entire fleet to meet budget cuts. It is expected to be supplemented by the Next-Generation Bombers beginning in the 2020s. In the meantime, its "capabilities are particularly well-suited to the vast distances and unique challenges of the Pacific region, and we'll continue to invest in, and rely on, the B-1 in support of the focus on the Pacific" as part of President Obama's "Pivot to East Asia". In August 2012, the 9th Expeditionary Bomb Squadron returned from a six-month tour in Afghanistan. Their nine B-1Bs flew 770 sorties, the most of any B-1B squadron on a single deployment. The squadron spent 9,500 hours airborne, while having one of its bombers in the air at all times. They accounted for a quarter of the combat aircraft sorties over the country while there and averaged 2–3 requests for air support per day. The B-1B is a revised B-1 design with reduced radar signature and a top speed of Mach 1.25. It was otherwise optimized for low-level penetration. A total of 100 B-1Bs were produced. The B-1R is a proposed upgrade of existing B-1B aircraft. The B-1R (R for "regional") would be fitted with advanced radars, air-to-air missiles, and new Pratt & Whitney F119 engines. This variant would have a top speed of Mach 2.2, but with 20% less range. Existing external hardpoints would be modified to allow multiple conventional weapons to be carried, increasing overall loadout. For air-to-air defense, an Active Electronically Scanned Array (AESA) radar would be added and some existing hardpoints modified to carry air-to-air missiles. If needed the B-1R could escape from unfavorable air-to-air encounters with its Mach 2+ speed. Few aircraft are currently capable of sustained speeds over Mach 2.